This gorgeous home at Meadow Haven was completed in 2018. Its current owners have lovingly upgraded and added dynamic features. This close-in country home has the perfect blend of easy country living matched with only top-tier modern amenities and premium quality throughout. High ceiling, European White Oak flooring, custom 3-panel doors, 3-zone forced heating, radiant heat in the master bath tile floor. A fantastic wraparound deck with 800SF of covered space features elegant glass railings and gas fireplace. Enjoy sunrise views over the forest from the master bed, and step out onto the private balcony to greet the day. The high-end kitchen was built with custom quartz countertops, soft close cabinets and drawers, stylish Blanco kitchen sink, and GE Cafe series appliances. 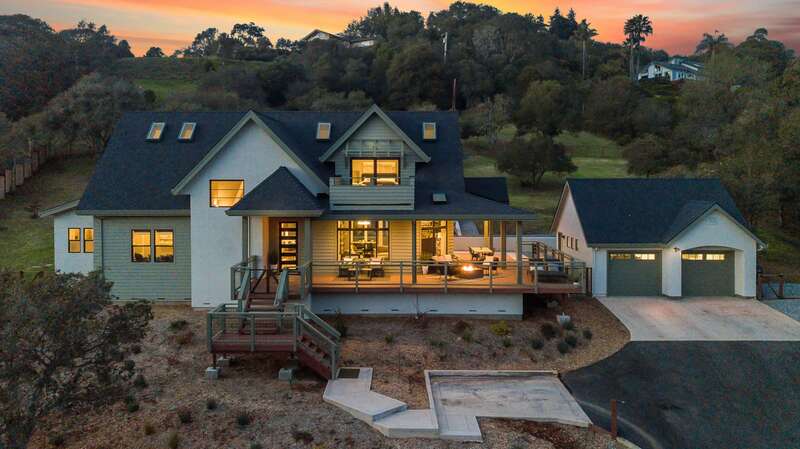 The home also features a detached 2-car garage and custom drought tolerant and deer friendly landscaping. Additional room upstairs with a loft provides options as a 4th bedroom or separate family room. I'm interested in this listing.